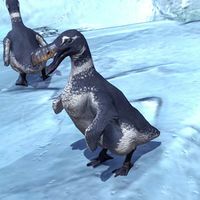 Chub Loons are flightless puffin-like creatures found along the coast of Wrothgar. They run away when approached. The Chub Loon are similar to the extinct Great Auk in both appearance and behavior, even down to being flightless. This page was last modified on 17 October 2018, at 18:50.